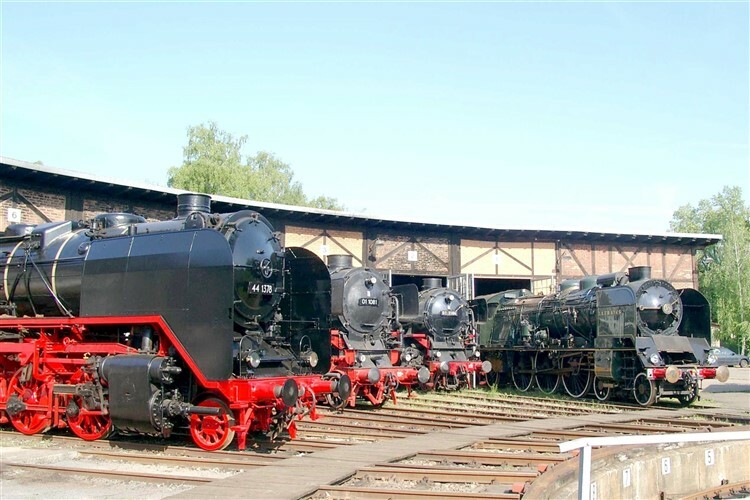 The Bavarian Steam Railway Museum celebrates its 50th anniversary at Nördlingen with a super steam festival. 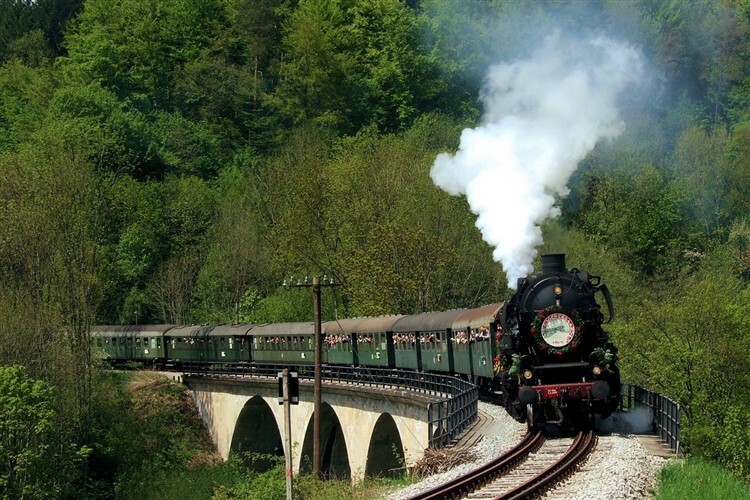 We combine this great gala with a summer visit to three glorious scenic steam lines in this beautifully picturesque region. Depart London St. Pancras International and travel by Eurostar and ICE train, via Brussels and Frankfurt to Stuttgart for a welcoming evening meal at the Maritim Hotel our tour base3 nights at . For one night at the InterCity Hotel. 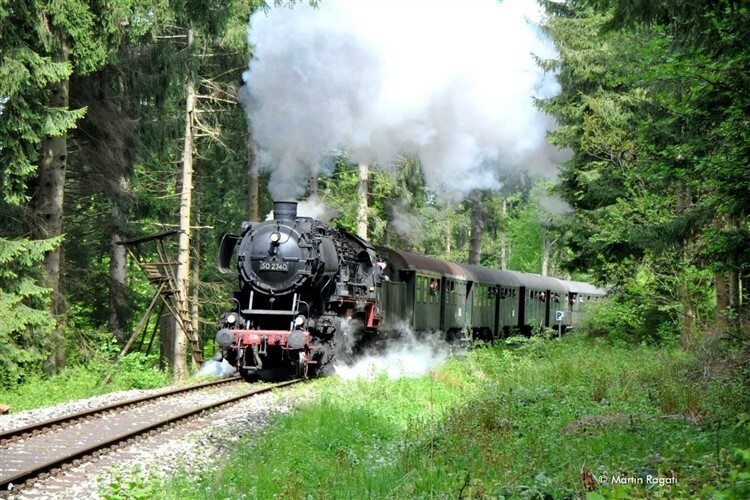 We transfer by train to Amstetten for exclusive private steam photo charter train on the delightful 6 Kms long metre gauge Alb-Bähnle between Amstetten and Oppingen. 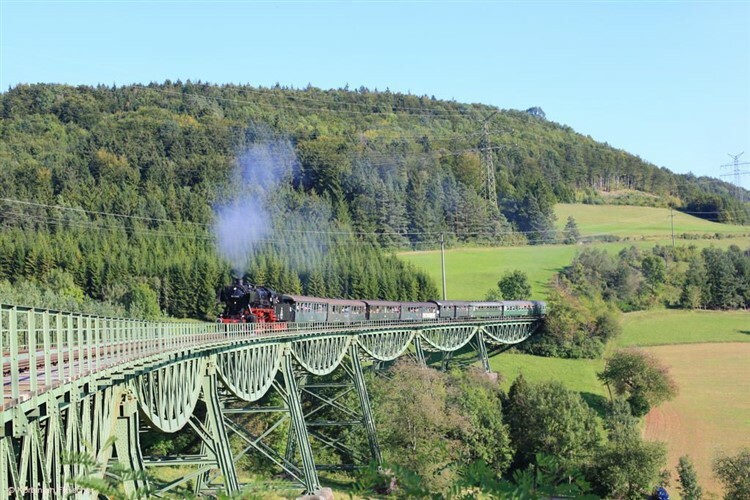 We transfer by train to Rudersburg-Oberndorf where we have a scenic steam hauled ride along the 23 Kms long "Schwäbische Waldbahn" which climbs high into the Swabian Forest to Welzheim and return. We then take the train to Heilbronn where we have a private visit to the South Germany Railway Museum home to around 15 steam locomotives and a similar number of heritage diesel locomotives. After returning to Stuttgart the evening is free to enjoy this wonderful city with its magnificent historic buildings. Leaving Stuttgart by coach we travel South to the unique "Sauschwänzlebahn" for a steam hauled trip on this famous 26 Kms long German line constructed with numerous twists, viaducts, and a spiral tunnel! to avoid crossing into Switzerland. We then travel onto the historic walled town of Nördlingen where we are based at the Arthotel for the next three nights. Today we visit the Bavarian Railway Museum in Nördlingen which is holding a Bavarian 50 Steam Festival. This historic gem of a former DB railway depot is home to around 60 locomotives of which over 30 are steam locomotives and also featuring diesel, electric, battery electric, railcars, and even a battery electric railcar. Full details of the event are still to be published. 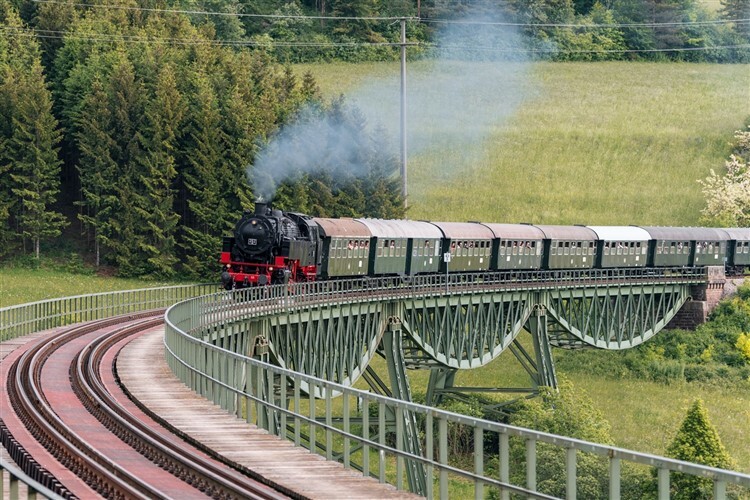 Today we have a main line steam trip from Nördlingen using one of the event locomotives - full details of destination and locomotive are published nearer departure date. We bid farewell to Nördlingen and commence our journey across Germany to Cologne where we travel to Brussels where we take the Eurostar back to London St. Pancras. Close to the station, the hotel has a pleasant bar and restaurant serving local and international specialities. Modern en-suite rooms include satellite TV and WiFi. The hotel also has a swimming pool, sauna and gym. 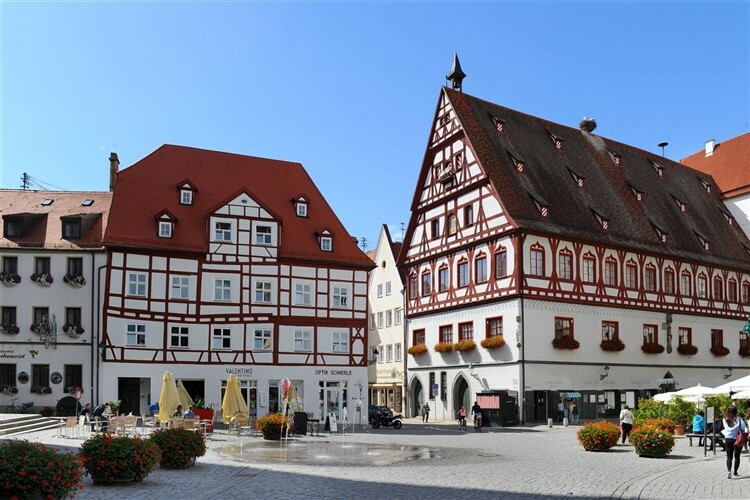 Adjacent to the station and a short stroll to the historic town centre which is located on Germanys Romantic Road. All bedrooms are en-suite and tastefully designed, with WiFi, TV & hairdryer. Breakfast is an unlimited buffet. If wishing to travel BY AIR to join the tour: Please contact us with your variation request so that we may confirm availability and fare variation.